Well, the yardsale season may very well be winding down. We visited only 22 yardsales this week. 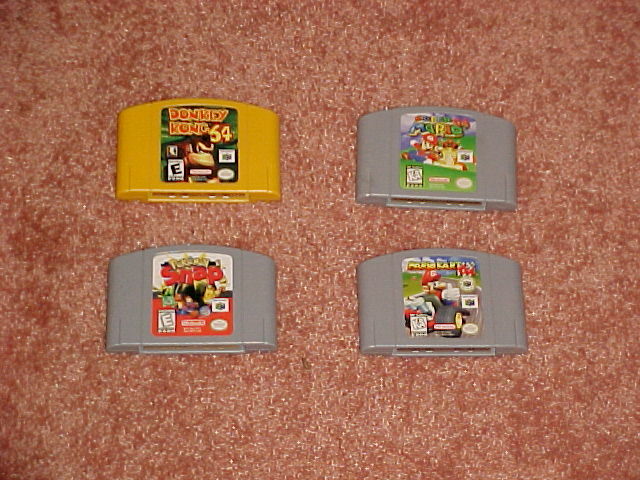 The N64 games were purchased yesterday at a small sale that had signs up near our neighborhood. The kid was probably 15-16 years old, and he was selling several N64 and PS2 games, an N64 system, and a couple of third-party controllers. Most of the games were crappy sports titles, so we picked up the good games. The girls hanging around him were saying how Pokemon Snap was so boring, and we could have it for a penny. The kid didn't seem too keen on that. We saw some PS1 games at another sale. They were asking $3 each. We offered $1 for MediEvil. The guy looks at the game and says "Wait a minute! This isn't even mine." Then turns to his wife, "This is my brother's, I can't sell this." And he brings it back into the house. We should've asked the wife, she would've had no idea. Ah well. The guy selling the Legos had an interesting approach. The box said, "Fill a small bag for $1" (standard brown lunch bags). I asked how much he'd take for the whole box. 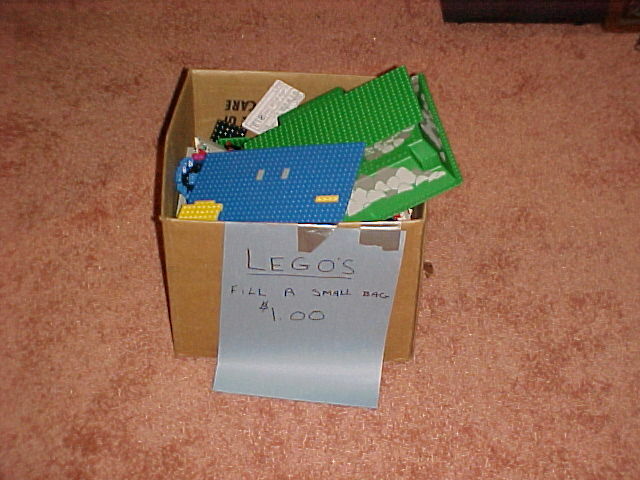 He said, "Well, there's about $15-20 worth of Legos in here." I said thanks and then thought about giving him another offer. I almost didn't offer anything because after he said $15-20, I figured he wouldn't go too low. But Dom reminded me of one of the yardsale rules: always make an offer. So I offered him $5 and he said "Sure!" without hesitation. I was surprised, but of course very happy! Then he added, "Just so you know, they've already been picked over a bit." I told him that was not a problem at all. Then he said, "And I got a special bonus for you!" He went back into the garage and grabbed 3 bases. So that was cool! We weighed them when we got home and they came to 11 lbs., which is the largest lot of Legos I've purchased this summer! Hope you all had some luck this week!